I have tried a number of younger (<20 yo) modern Auchentoshans and have not been impressed by any. The over 20s seem better, but perhaps it’s just a matter of finding the right one, or the right era. Nose: Light and estery, quite high toned and the sweetness of the oak is clear. Also lots of bright but artificial fruit essence, the kind you find in a packet of wine gums or gummy bears (Marks & Sparks) – redcurrant and lime stands out to be sure. Also some acetone sting, vanilla, caramel custard. No oak tannin bitterness or heaviness. No obvious maltiness for that matter. To be fair a rather happy and pleasing if the nose is somewhat simple and a tad thin. Based on some experience with young Auchentoshan, it really does seem to need age. Palate: Light bodied and without any heaviness. Somewhat harsh on the tongue despite the nose: chemical acetone, chilli hot! Fresh grated ginger. Then some of that gummy fruitiness returns, though seems quite plastic on the tongue now. Some dust with that hot afterglow… Dissipates rather quickly. Bit of a disappointment after the pleasant nose. Finish: Which arrived too soon, goes back to gummy fruit, acetone and some astringent sap. Nose: Again light but not exactly thin. Some estery fruit, but this one seems weightier with some clear oils in the centre of it. Definitely has some additional oaky notes of light leather and tobacco. Some dried bark scrapings and sap too. Getting quite floral with time in the glass. A growing dread. Palate: Pow! Floral notes of violets and vasewater. Getting very floral in fact .. ok a very loaded word in whiskyspeak, but in this case not as bad as toilet cleaner but clearly perfumy-sweet nonetheless. There will be those who enjoy this. Otherwise also leathery, woody and spicy with ginger, aniseed. Finish: Despite my perennial optimism, the floral violets never went away. 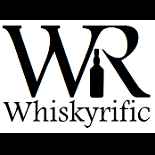 This entry was posted on June 3, 2018 by Whiskyrific in Auchentoshan and tagged Auchentoshan.